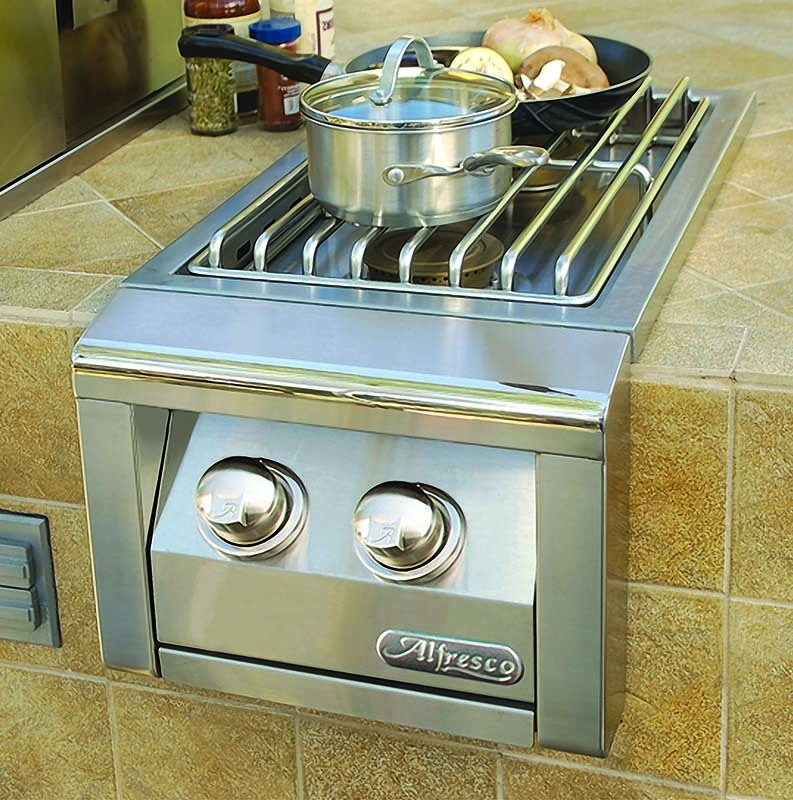 The Alfresco Built-In Double Side Burner has all of the power and control of a professional kitchen range. 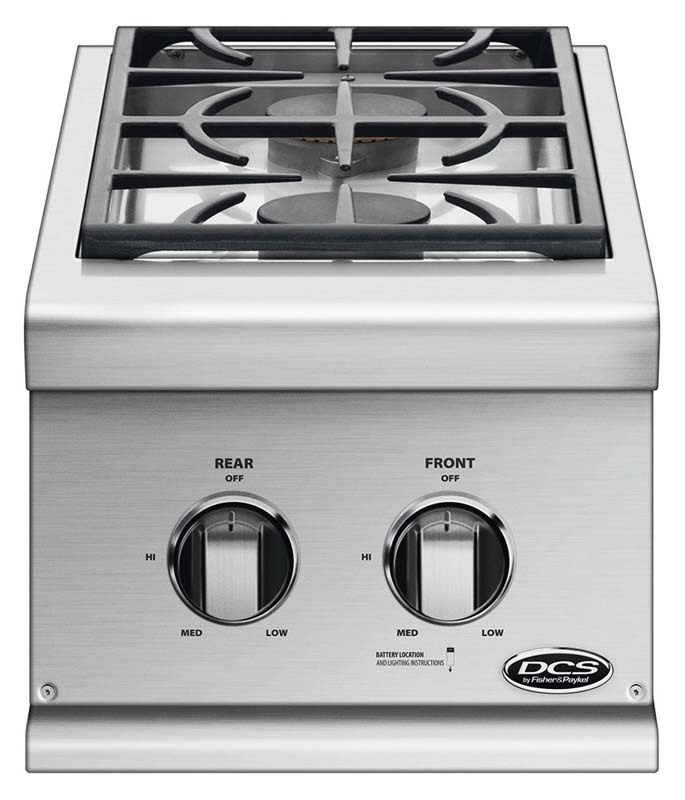 Side burner features two 20,000 BTU brass burners, recessed top for wind protection and easy cleaning, and all commercial stainless steel with heli-arc welded seams. 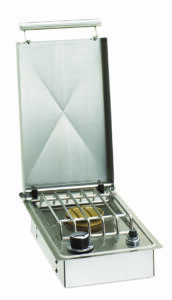 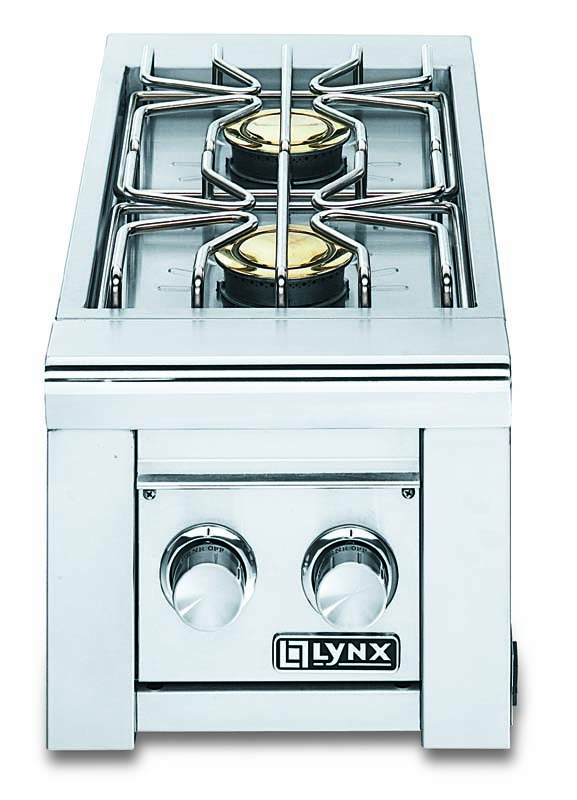 AXE model burner also features a stainless steel cooking grid and includes matching stainless steel cover. 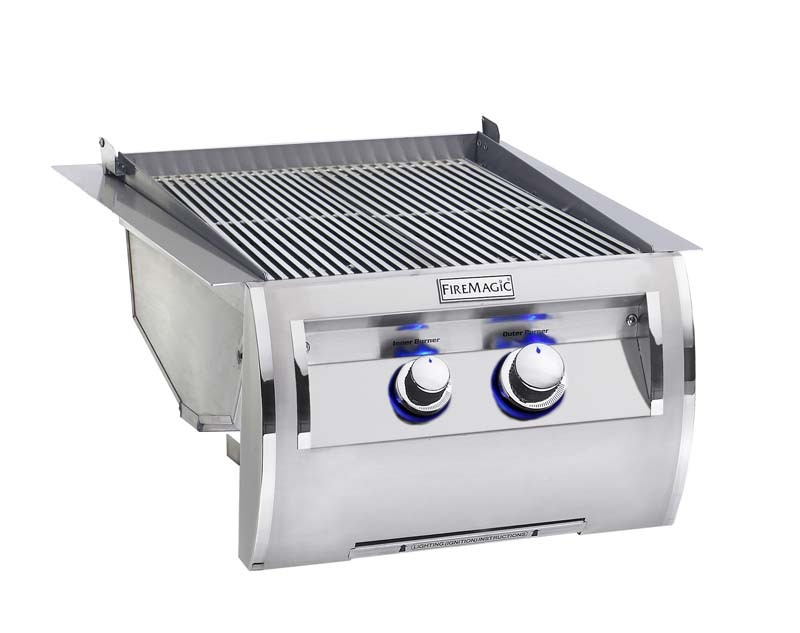 Stamped with the Alfresco logo, you can be assured you are receiving high quality outdoor kitchen equipment.